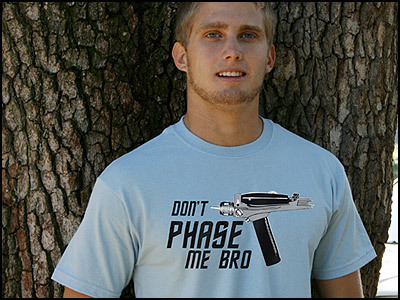 The don’t tase me bro meme is definitely old and tired but I’m definitely ready for the don’t phase me bro meme to sweep the web! 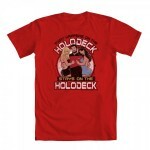 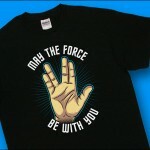 Well, I doubt it will have quite the reach that the original did but if all the Star Trek fans buy this awesome shirt, it could at least sweep the Star Trek world. 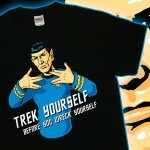 This awesome Star Trek inspired Don’t Phase Me Bro T-Shirt is available from the awesome guys over at TShirtBordello for just $14.99! 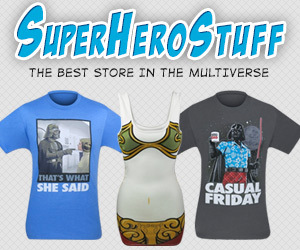 I’ve got numerous t-shirts from them in the past and they have all been very good quality so if you are on the fence, you should definitely buy it!